The Trib takes a look at how things are going at the flooded-out Harris County Criminal Justice Center. The U.S. Constitution guarantees the right to a “speedy” trial, but the law offers no specific guidance on what “speedy” means. And it’s not entirely clear how that right might change in the face of unprecedented natural disaster. See here and here for some background. As the story notes, while the DA’s office is prioritizing cases where the defendant is in custody and disposing of them as they can, there are still going to be a number of people who will spend significant time in jail before they ever get to a resolution of their case. Even though that includes a lot of felons, given the ongoing litigation over bail practices it would not be surprising if that’s an issue for future appeals. 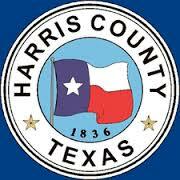 And given that there was flooding during Alison as well as Harvey, the county is going to have to give a lot of thought to how to be better prepared for these events going forward.